Abundance Farm is a Jewish food justice farm and outdoor classroom located in Northampton, Massachusetts. 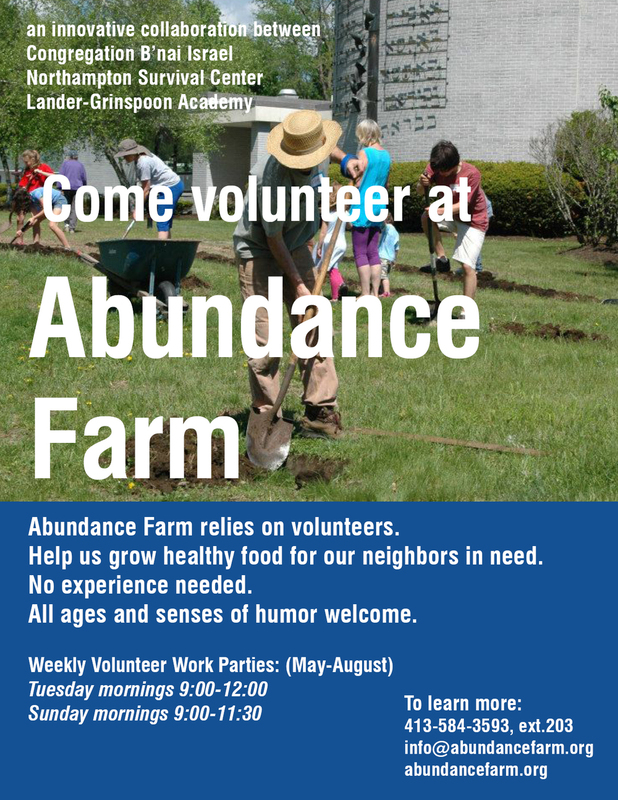 Abundance Farm is a unique collaboration between Congregation B'nai Israel, the Northampton Survival Center, and Lander-Grinspoon Academy. to support local food security and to create a unique, outdoor learning environment. Abundance Farm is a beautiful urban oasis where people of all ages, faiths, and backgrounds are drawn for nourishment, community, and learning.